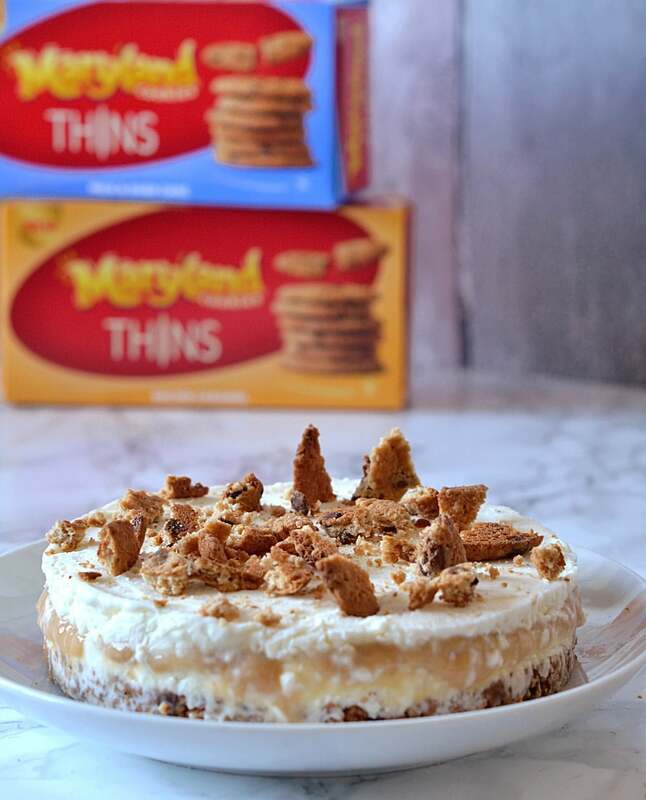 We were sent the ingredients for this recipe by Dr. Oetker. We were not compensated in any other way. All opinions are our own. Fathers Day is just around the corner and whose Dad doesn’t enjoy a good cake? 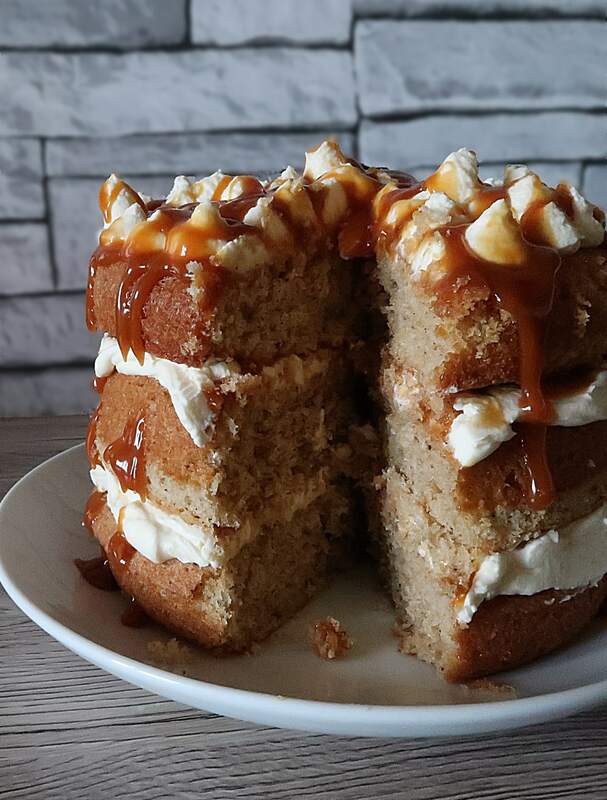 The lovely folk at Dr. Oetker recently got in touch to ask if we’d like to try out one of their recipes for Fathers Day and this Chai Caramel Cake was just too tempting to resist – perfect for making Dad’s day! 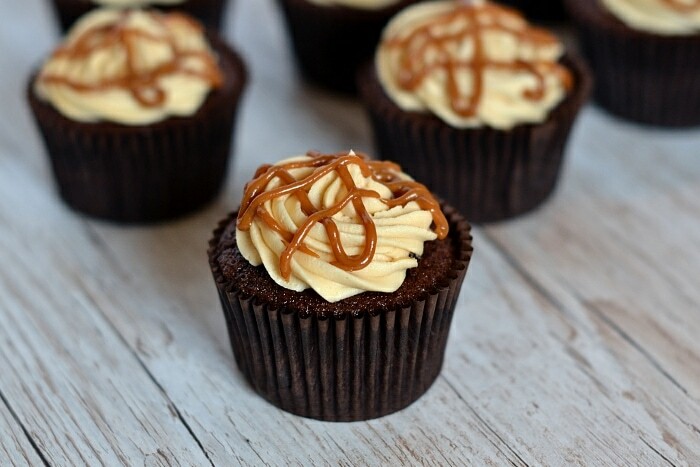 It’s no secret that I like to combine some of my everyday favourites into cupcakes (Irn Bru cupcakes is our most popular recipe!) 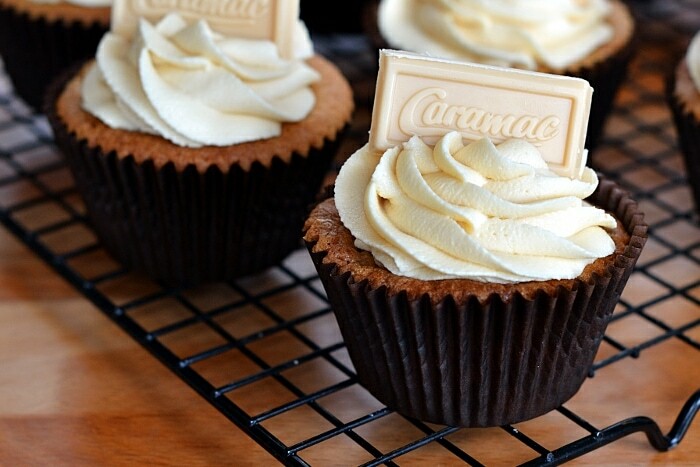 and these Caramac Cupcakes are no exception. 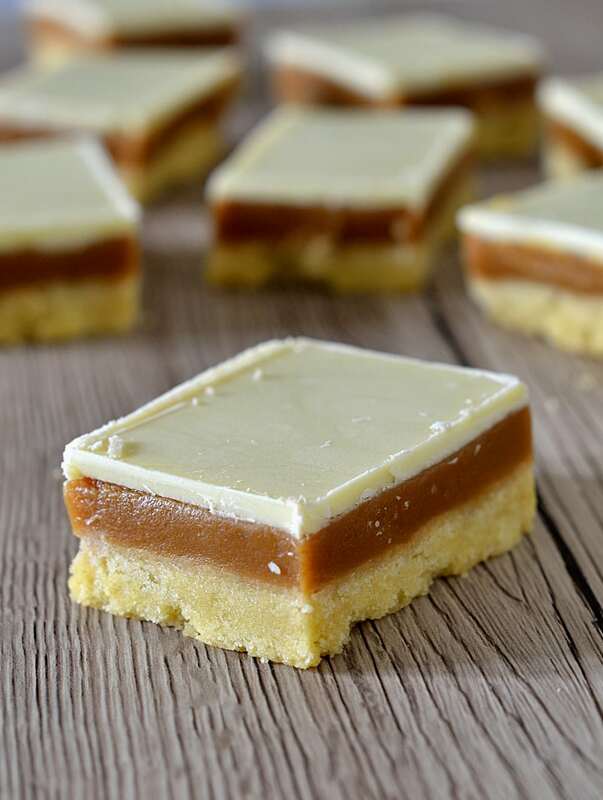 Sweet and creamy, with the unmistakable caramel flavour!